Paper Made Bakery: #10 for a WIN! Hi there! Welcome to another über fun Tic Tac Toe Challenge and this is Week 10 -- can you believe that? That means summer is almost over and we're pushing into autumn. But, I don't mind...I'm ready for the fall/winter holidays! So, here's this week's inspiration board -- which line should I go for? Ghouls and goblins (of the cute kind) have been on my mind AND I just got my hands on the brand new Authentique Tricky line, so I decided on the left row: metallic, anything but a card, and green. I dig how the lighting in this photo came out -- like something magical is swirling about! I wish you could see how sparkly the clear Wink of Stella on this hauntingly handsome owl dude looks! 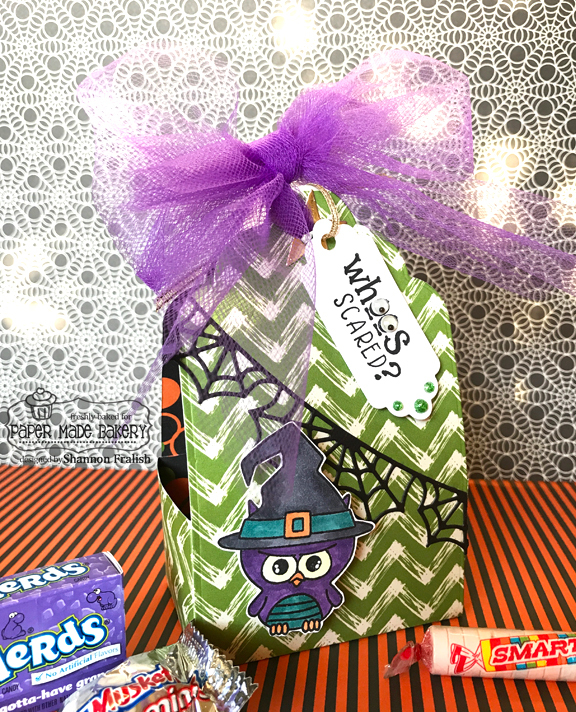 I use Taylored Expressions Tagging Along die set for this "sweet" little treat bag, along with some nice, thick patterned paper from Tricky. The owl is from the brand new Peek A Boo Halloween stamp set from Taylored Expressions, and that wistfully wonderful web is from their new Skinny Mini Halloween Borders. Wondering where the metallic is? No, it's not the shiny little Three Musketeers bar, but the gold foil star hole reinforcer and the gold metallic ribbon I used to attach the "Whoos Scared?" tag. I also added some googly eyes and Nuvo Crystal Drops in Sunlit Meadow. Thanks for stopping by! 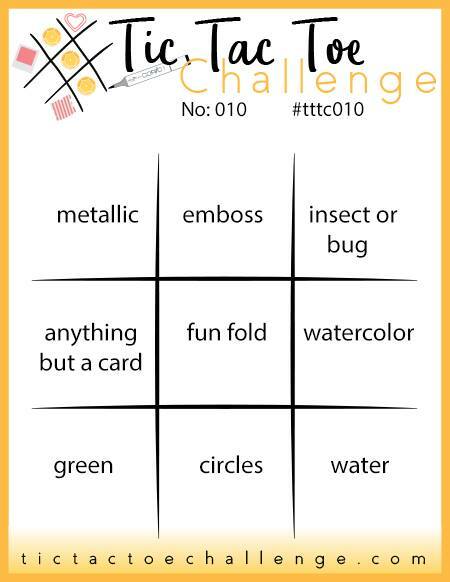 I'm looking forward to seeing your take on this week's inspiration board, so head on over to the Tic Tac Toe Challenge blog. You ought not even consider having a weight reduction surgery cause it is possible to attain the same goals by using some sorts of natural supplements.